We’ve rounded the bend and are into the second half of winter. Temperatures are moderating. Daily highs in the teens and twenties will become more common. We are also seeing more of our old pal the sun, which is well into its march toward the spring equinox. Unfortunately, many among us have allowed persistent wind chills to box them into a winter malaise. They’ll spend the next six weeks wishing time away, and pinning their hopes on spring, which could also turn out to be long and disappointing for them. We will be far more fulfilled if we enjoy the time that remains of this marvelous winter by using each day to its full potential. Just today I received that universal signal by an angry man behind the wheel, very long and pronounced as he really wanted me to see quite clearly that he was pointing to the sky. Too bad for him that he failed to notice the beauty at the other end of his skyward “gesture.” We should have simultaneously pulled over and compared notes. I would have written him a prescription that certainly would have solved many of his problems. 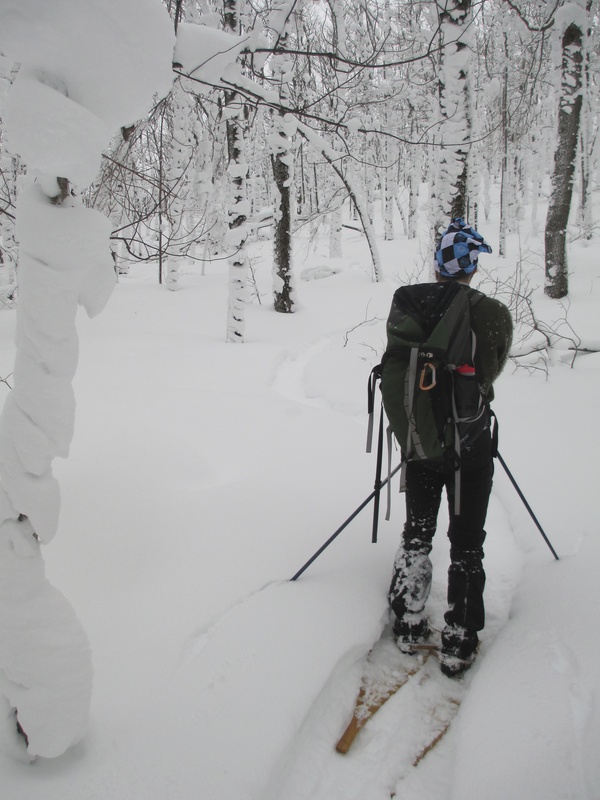 What he needs, as do you, is more time cross country skiing at Korkki Nordic. Look it up on the web some time. At just 15 minutes out of town it makes a real bargain for your time management. My time there is often some of the best and most exhilarating of the week. I’d travel hours to get there if necessary. On the far side of the 10k loop the quaint signs that identify the most striking features of this narrow classic ski only trail become more frequent. The stretch between the Upper Roller Coaster, Cook’s Fall, and Fryberger’s Curve, is positively sublime. For me it requires fully focused brain and muscle coordination, which is often so rare, and when the two work in tandem like that it is a guarantee to drive the winter blues away. I absolutely guarantee it. Then from there you steadily ascend toward the famous Iso Maki (big hill) which provides some nice views and a fabulous descent that will provide enough adrenaline to make you wish you had time to do another full loop. You can also easily take your entire family skiing at Korkki, and bypass the more difficult stuff by taking the shorter loops. Just this past week I observed some wolf kill directly on the trail and fresh tracks a mere kilometer away from the parking area. I hope many families were excited by this find on a lovely Saturday. Another option for family and friends is a couple nights spent together in a rustic cabin deep in the wilderness. My annual winter trip with friends is something I anticipate all year. This year we journeyed three hours east to Porcupine Mountains Wilderness State Park in the U.P. of Michigan. 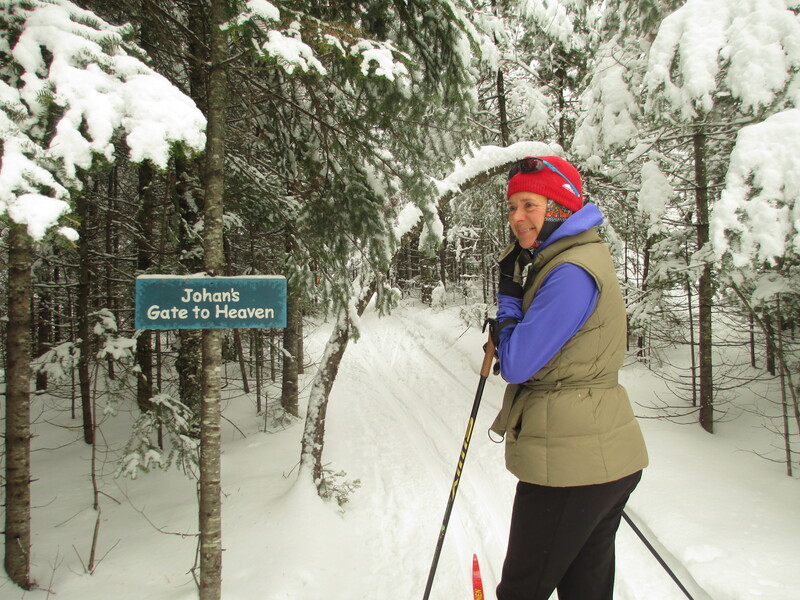 We stayed in the White Tail cabin located right on the shore of Lake Superior, and this required a ski in of less than a mile on a groomed trail. Piece of cake. This small amount of effort provided absolute privacy at just $60 a night. 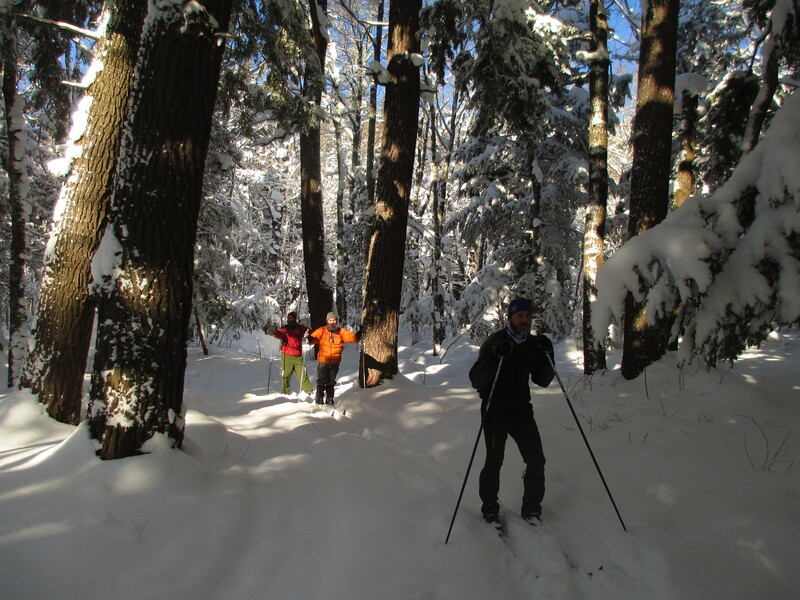 There were no neighbors, the Lake’s ice formations were outstanding, and old growth hemlock forest was close by. Much time was spent skiing into the interior of this amazing park, and we snowshoed along the escarpment trail in the higher elevations as well. Most physical ability levels could handle a trip like this, because you can tailor it to your own abilities and interests. The basic cabin, heated by wood and with no electricity, is plenty warm and a great place to catch up with friends. 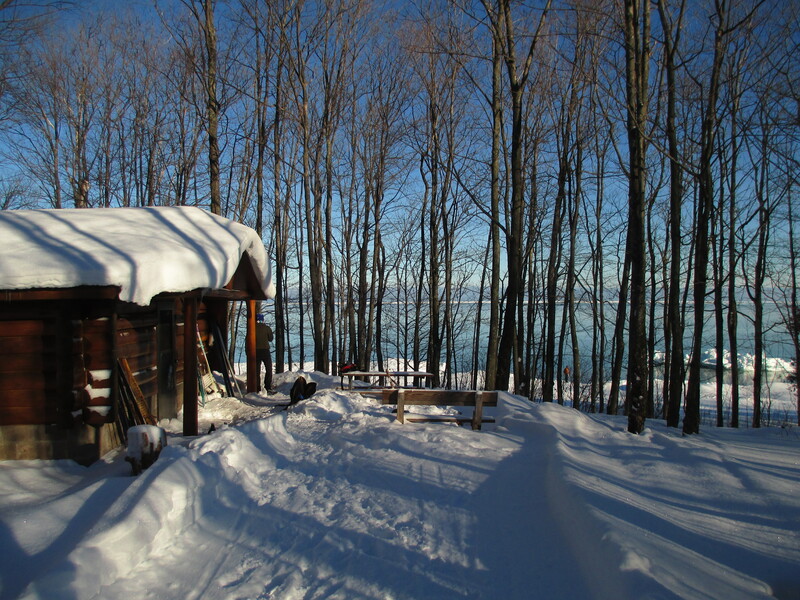 On the North Shore of the same lake, Tettegouche State Park has a cluster of backcountry cabins that would be an excellent gathering point for family. 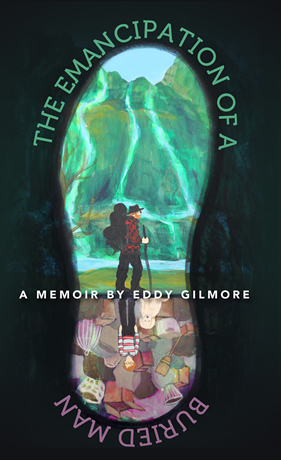 These require less than two miles of human powered travel to access them, and provide an excellent wilderness experience that is accessible to the uninitiated while still providing layer upon layer of interest to those more acquainted with the ways of Jack Frost and all things nordic. Cheers to you friends, and best wishes for a strong and happy last half of winter.